These aliments are a form of communication from our body. It doesn’t have a voice, but uses symptoms such as digestive complaints, headaches, joint pain, poor sleep, skin irritations and such to communicate with us. Instead of feeling resentful and frustrated with your body, start listening to it, the body will guide you on the food/drinks/lifestyle that it likes and dislikes. Keeping a food and symptom diary can be a very helpful way of learning to connect into your body’s messages again. You can analyse how you feel after each meal and start to see patterns. For example every time you eat bread you feel bloated and suffer gas. This is your body staying it is having trouble breaking down processed wheat. You could try changing to paleo bread, a good quality gluten free bread or cutting it out completely and notice how your body responds. Foods like wheat and other glutenous grains take a full 4 weeks to come out of your system, dairy taking a full two weeks. Bearing this in mind, you may have to do a longer trial for symptoms such as headaches, PMS and joint pain. Apply the same to drinks such as alcohol or caffeine. Do they affect your sleep? Cause hot flushes? Make you anxious? 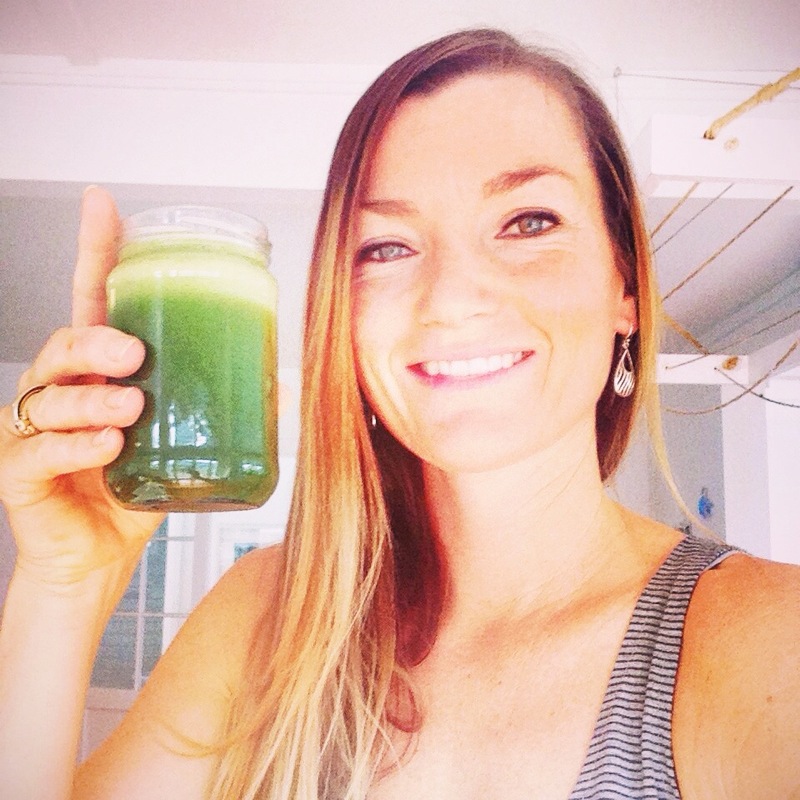 Your body is talking to you! Open up your communication with your body and consider what it might be asking you to change, the body can guide you to optimal health, you just need to listen! Are you low in magnesium? Magnesium is the eighth most abundant mineral on earth, and the third most abundant in sea water. More importantly, it is the fourth most abundant mineral in the human body and it is necessary in over 300 functions within the body. 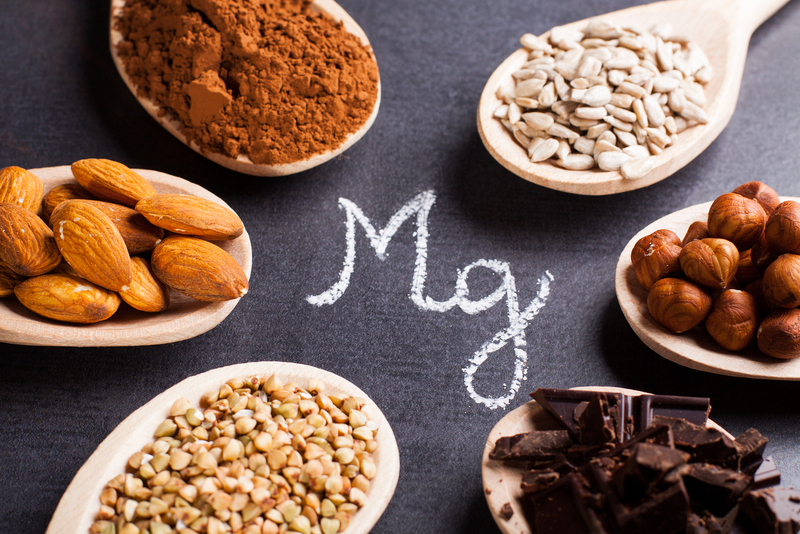 Magnesium isn’t just abundant in the body, but vitally important too. Every single cell in the human body demands adequate magnesium to function, or it will perish. Strong bones and teeth, balanced hormones, a healthy nervous and cardiovascular system, well functioning detoxification pathways and much more depend upon cellular magnesium sufficiency. Soft tissue containing the highest concentrations of magnesium in the body include the brain and the heart—two organs that produce a large amount of electrical activity, and which can be especially vulnerable to magnesium insufficiency. Proper magnesium ratios are important for the body to correctly use calcium in the cells. Even a small deficiency can lead to a dangerous calcium imbalance and lead to problems like calcification and cell death. This manifests itself with symptoms like heart trouble, migraine headaches, muscle cramps and premenstrual cramping. Where Has All The Magnesium Gone? Unfortunately, most modern farming processes tax the soil, depleting it of its natural magnesium. On top of that, many hybrids are selectively bred to survive low levels of magnesium and most conventional fertilizers use nitrogen, potassium, and phosphorus, and do nothing to replenish magnesium levels. Fluoride in drinking water binds with magnesium, creating a nearly insoluble mineral compound that ends up deposited in the bones, where its brittleness increases the risk of fractures. Water, in fact, could be an excellent source of magnesium—if it comes from deep wells that have magnesium at their source, or from mineral-rich glacial runoff. Urban sources of drinking water are usually from surface water, such as rivers and streams, which are low in magnesium. Even many bottled mineral waters are quite low in magnesium, or have a very high concentration of calcium, or both. Additionally, drugs like birth control pills, hypertension medicine, diuretics, insulin, and certain antibiotics (among others) deplete magnesium levels. Sweating often from exercise or other causes can also deplete magnesium. Some observational surveys have associated higher blood levels of magnesium with lower risk of coronary heart disease [50-51]. In addition, some dietary surveys have suggested that a higher magnesium intake may reduce the risk of having a stroke . There is also evidence that low body stores of magnesium increase the risk of abnormal heart rhythms, which may increase the risk of complications after a heart attack . These studies suggest that consuming recommended amounts of magnesium may be beneficial to the cardiovascular system. As I said above, the answer is likely ‘yes’ in today’s world, as over 80% of tested adults are. Unfortunately, blood tests are relatively ineffective in gauging magnesium levels as less than 1% of magnesium is in the blood. If you have more than one of the above symptoms and especially if you have more than five, it is highly likely that you could benefit from magnesium supplementation. Unfortunately, magnesium is often not well absorbed by the digestive track, and is even more difficult to absorb if you are deficient or are low in vitamin D, have poor gut bacteria or suffer from a number of other conditions. On top of that, most foods are depleted of their natural magnesium levels and the water supply is lacking also. For this reason, I often recommend magnesium supplementation to clients who struggle with the above symptoms. There are several ways to supplement, and a mixture of more than one type of magnesium supplementation seems to be most effective. It is important to start slow and work up, as high doses will not be completely absorbed at first and most will be wasted. Leafy green vegetables, sea vegetables, kelp, and especially nettle are good dietary sources of magnesium, though if you have a deficiency, it will be difficult to raise your levels enough through diet alone. In powder form such as magnesium citrate so that you can vary your dose and work up slowly. In ionic liquid form so that it can be added to food and drinks and dose can be worked up slowly. In Magnesium oil applied to skin. This is often the most effective option for those with damaged digestive tract or severe deficiency. I’d actually advise at least two of the above forms, including transdermal supplementation especially if you show multiple symptoms. The easiest way to gauge your dose is to start at half of the recommended dose and work up (even above it) until you experience loose stools and then back off slightly. From this dose, you should be able to gradually increase your dose until your symptoms disappear. If you experience any of the symptoms above, or if you are on a no grain diet or consume any processed or conventionally produced food, I’d definitely encourage at least trying magnesium supplementation to see if it can improve your symptoms. If you’d like to learn more about the importance of magnesium and its various actions in the body, I’d suggest the book The Magnesium Miracle by Carolyn Dean.